Someone looking extremely familiar and charming? Yes, that’s the young Brad Pitt before his debut as a celebrity. This American Indie Film mainly focused on the themes of family, brotherhood and sportsmanship where the 2 brothers, who belong to 2 extreme social spheres, overcome their struggles and reconciled their differences from running. 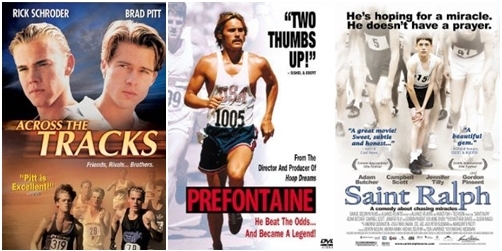 In this American biographical film, Jared Leto plays the character of Steve Prefontaine, an American long-distance runner who once held the American record in 7 different distance track events from the 2,000M to the 10,000M and died at a young age of 24 due to an auto accident. The film was shot from the perspective of his training coach and his then girlfriend. One of his greatest accomplishments besides being an outstanding runner was his activist efforts in helping American athletes compete with international runners who received better funding. This documentary film chronicles the journey of 6 marathon runners’ experience while training and competing in the 2005 Chicago Marathon. 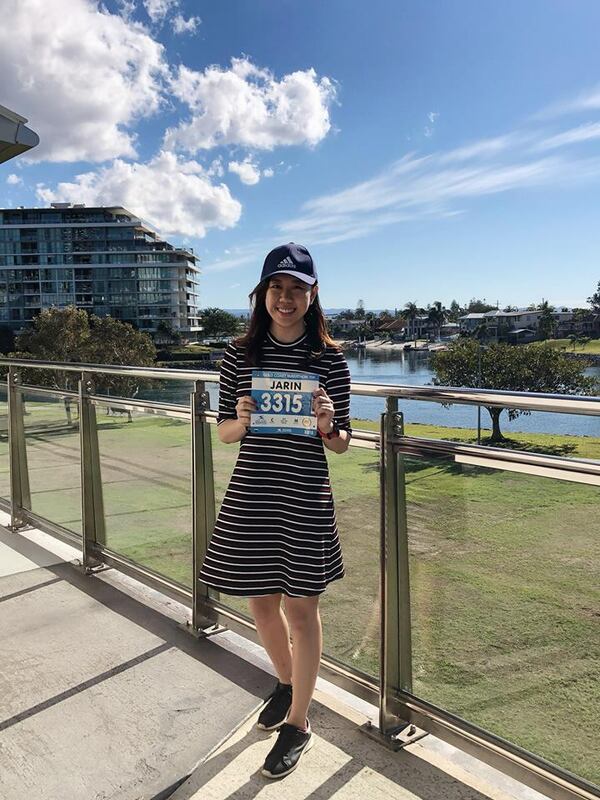 I really felt like heading out for a long run after watching this film! The admirable physical endurance and determination displayed by the different characters were truly inspiring because each of them came from different background and demographics, had varying running experiences and abilities. It goes to show that everyone and anyone can overcome their own physical and mental struggles if they put their heart and soul to achieve what they desire. 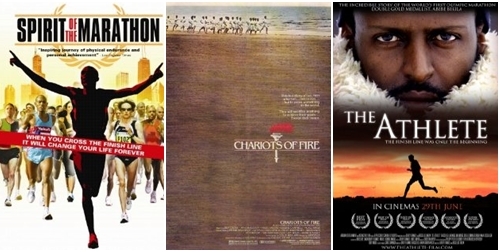 P.S There’s a sequel to this movie called Spirit of The Marathon 2. Do check it out! This film should ring a bell in many of you runners and film junkies – It won 4 out of 7 Academy Awards that it was nominated for, including Best Picture and Best Screenplay and not to forget its award-winning instrumental tune by Vangelis as the Best Original Score. Released in 1981, the British historical film recounts the lives of 2 athletes in the 1924 Paris Olympics who each ran for difference causes and beliefs – Eric Liddell, a devout Scottish Christian ran for the glory of God, and Harold Abrahams, an English Jew who ran to overcome prejudice. 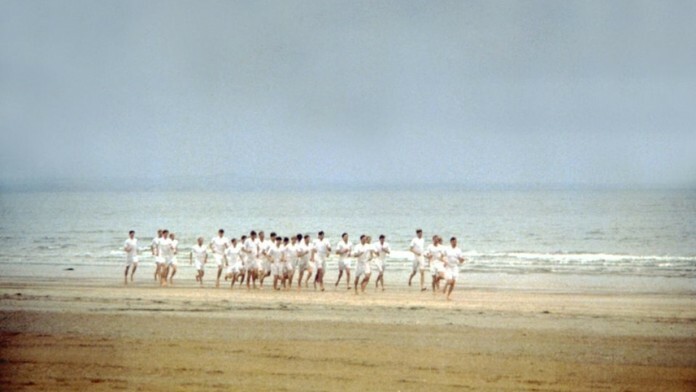 The most notable scene has got to be the opening scene filmed at the beach (cover photo above). The film taught me that one would achieve admirable feats if one puts in devotion, commitment, integrity and sacrifice. This Ethiopian drama film chronicles the life of the legendary marathoner from Ethiopia, Abebe Bikila. When he first participated in the 1960 Rome Olympic Games, nobody cared about who he was. Not only did Bikila ran barefooted , he become the gold medallist of that event! He repeated his barefooted running four years later at the Tokyo Olympic Games and became the first man to win the Olympic marathon twice in a row. Unfortunately, Bikila lost the function of his legs after getting involved in a car accident. He then died shortly due to health complications related to his previous injuries. One of the most notable quotes by Bikila was “I wanted the world to know that my country, Ethiopia, has always won with determination and heroism”, which was the reply he gave to people who asked his reason for competing barefooted during the Olympics.